Dr. Brooks Trotter joined the Grapevine Internal Medicine Centre in 1986, after completing his residency in Internal Medicine at UT-Southwestern/St. Paul in Dallas. Previously, he attended medical school at Texas Technical University. As a board certified internist, Dr. Trotter specializes in treating non-surgical problems in adult patients. He provides personalized attention and takes pride in caring for patients for life, from young adulthood into their senior years. Dr. Trotter believes in “real world medicine,” helping patients understand the lifestyle changes that can prevent disease and promote wellness, while taking a pragmatic approach to treatment. “I don’t really lecture patients on lifestyle changes that they’re not going to make, because if they were doing so, they probably wouldn’t be coming to see me,” he says concerning patients who have health conditions related to smoking, alcohol consumption or obesity. Dr. Trotter addresses the conditions themselves, prescribing the appropriate treatment plan and making recommendations to help patients manage their health while also respecting the decisions they make. 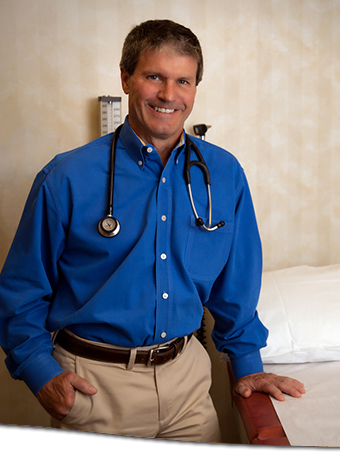 Dr. Trotter frequently speaks to other local physicians on health topics, including blood pressure, diabetes and cholesterol. Outside of the office, he enjoys ranching at his weekend home near Decatur, Texas, where he raises longhorns and buffalo.